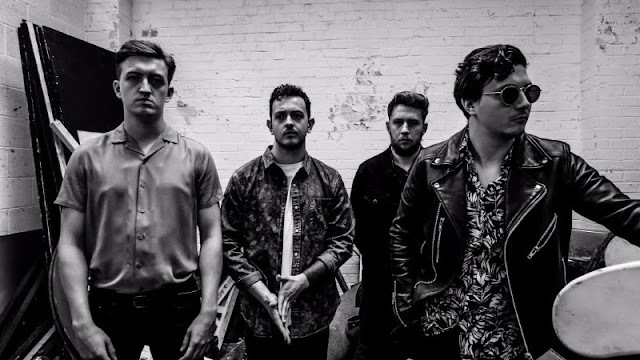 Only Shadows have recently revealed the video for their brand new track "Fight Milk", and my word is it a change if sound for the Midlands quartet! Having first introduced themselves in 2016 with their self-released single 'Be Still', and swiftly went on to sell out headline shows, rack up over 400,000 Spotify streams and support the likes of Carl Barat, Coasts, Saint Raymond, Fatherson & Prides. "Fight Milk" is a real statement of intent from the four-piece, they've been working hard on refining their sound and with every single they release they get better and better. However, with this effort I feel that they've surprised a LOT of people. They've literally gone out guns blazing and have shocked me how powerful and energetic the track is, Only Shadows are just getting started everyone! You can get on the band-wagon below and listen to their new cut, you won't be disappointed!